So many homes and businesses in Staffordshire, its major towns of Burton Upon Trent, Cannock, Leek, Lichfield, Stafford, Stoke on Trent, Sutton Coldfield, Uttoxeter and the surrounding countryside rely on LPG because several towns and villages do not have a connection to the national gas grid. With our great customer care, reliable LPG supply and the cheapest LPG prices available, Premier LPG is quickly building a reputation as the leading independent LPG supplier to residents and businesses throughout Staffordshire. We look forward to continued growth in the Staffordshire area as we are ideally located to provide an efficient and reliable LPG delivery service and maintain the most competitive LPG prices because both our head office and Cheshire based tankers are within minutes of the M6 corridor. With farmhouses and barns being converted to domestic home in the Staffordshire area we are seeing increasing demand for our LPG metered services. 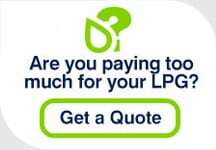 LPG is proving to be an extremely versatile and cost effective fuel for businesses not on the national grid. Our customers use LPG to heat premises, cook with a real flame, run Forklift Trucks and dry crops amongst other industrial and agricultural uses. Staffordshire LPG users can find more general information on the following pages: Domestic LPG transfers, Metered LPG transfers and Commercial LPG transfers.